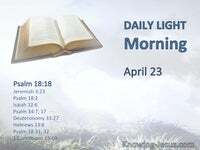 Jesus knowing that all things were now accomplished, saith, “I thirst.” Now there was set a vessel full of vinegar: and they filled a sponge with vinegar, and put it upon hyssop, and put it to his mouth. 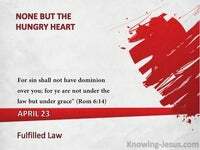 When Jesus therefore had received the vinegar, he said, It is finished: and he bowed his head, and gave up the ghost. Here our divine Redeemer utters His fifth word from the Cross .. I thirst. Here we view Love’s redeeming work completed, so that Scripture would be fulfilled. He, Whose redemptive work was foreordained from eternity past.. ordained from before the foundation of the world, had finished His task. All things.. towards which His lowly birth and suffering life pointed. All things.. towards which “all things were now accomplished.. All things…. He had suffered pain and punishment as well as this craving for a little drink of water for six hours. He had hung in deep, lonely anguish, restraining His torment, until His task was finally completed. Here our representative Man waited, and waited.. waited for Love’s accomplishment, before calling for His own physical need. Here our eternal, almighty Substitute demonstrates His humanity – His glorious, immortal perfect humanity. Here our Lord Jesus Christ cried out, I thirst.. Now there was set a vessel full of vinegar: and they filled a sponge with vinegar, and put it upon hyssop, and put it to His mouth. THEY filled a sponge. THEY put it upon hyssop and THEY put it to His mouth. I wonder who THEY were? Disciples; Women; Soldiers; Bystanders; The Jews? I wonder who THEY were. Here He was offered a stem of hyssop, with a sponge – moistened by sour vinegar. Here, one little act of kind compassion is all we witness of human tenderness.. the only act of kindness, shown to Him, through His ordeal. We cannot but be thankful for this little ministry in giving momentary relief to this holy Sufferer. 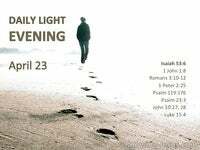 But.. we have to ask, was even this cry one final act of godly love… ever inviting whosoever will to come unto Him? Was this call for water, even now, an offer.. to a parched and dying world, who needs a Saviour? Was this call for water, even now, an offer to.. come and drink from the living water? Was this offer of comfort a call to the heart to be comforted by the eternal Comforter? For whosoever shall give to drink unto one of these little ones…. shall in no wise lose his reward. 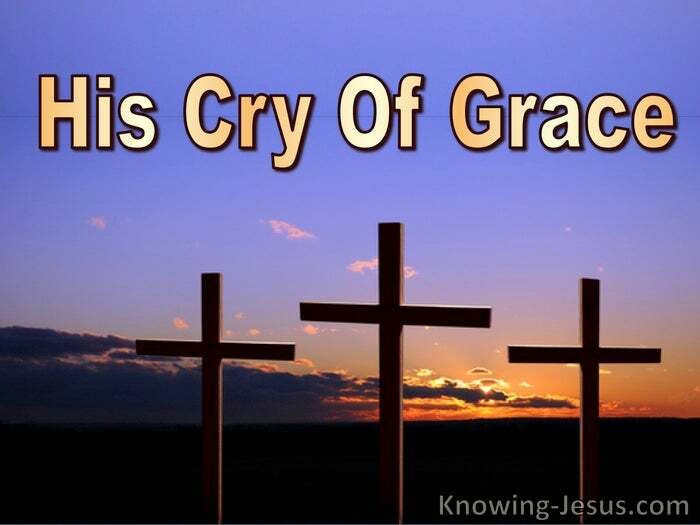 Who can forget that great cry on that last day – that great last day of the feast of Tabernacles – Jesus stood and cried, saying, ‘If any man thirst, let him come unto me, and drink.” John 7:37. He is ever ready to pour His Life-giving waters of refreshment into our thirsty souls. 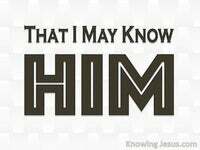 Who can forget those astonishing truths in that great chapter.. the last chapter of Scripture – Let him that is athirst come. 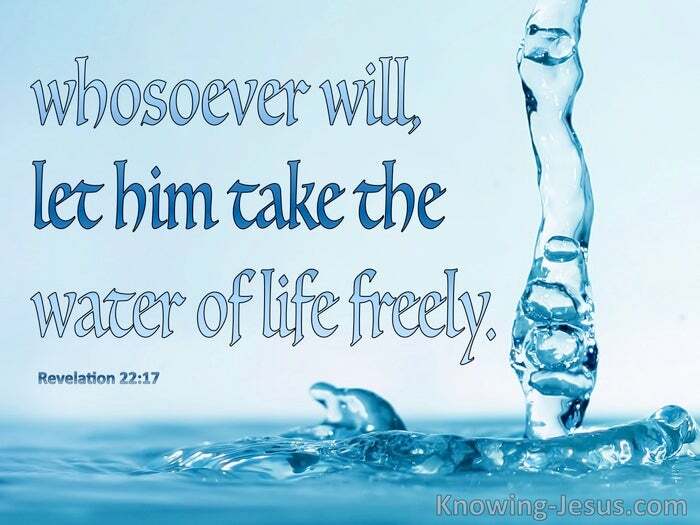 And whosoever will, let him take the water of life freely. Rev.22:17 Earlier, at the point of crucifixion, our Lord was offered a stupefying potion of pain-deadening wine. 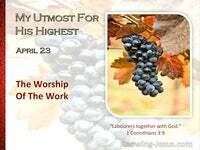 Earlier, at Golgotha, He was proffered a deadening drink of wine, mingled with myrrh and wormwood. Earlier He refused this callous temptation to dull the senses and thus render scripture void – for we are told that He was to drain the cup of suffering to its entirety. He Who cried out: I thirst, is still, ever willing to satisfy the spiritual thirst of all who will come to Him. All men are thirsty for God, for He designed us so to be so, but multitudes do not know for Whom they thirst, and satisfaction is sought in the wrong cisterns. Contentment is sought for in the indulgences of this worlds stagnant puddles, but to those who cry, I thirst.. He continues to answer: Come…… take of the waters of Life freely….without money and without price….” for Christ is truly the living Fountain of Life – the Living Water.